North Park Real Estate offers some of the finest Craftsman Bungalows, Spanish Style Homes, Prairie, Mediterranean and several Modern Homes that are popping up around the neighborhood, Also offering some of the finest Cafe's, Boutiques, Restaurants, Microbreweries and Shopping. Located northeast of Balboa Park, overlooking Mission Valley and just north of the South Park neighborhood. With well over 33,000 thousand in population, North Park feels like a small urban city, not fast pace at all, however Forbes magazine noted North Park as on of America's best "hipster" neighborhoods. 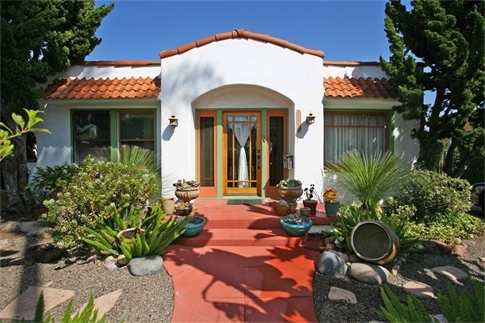 North Park has become a melting pot for people from all cultures with the average home being approximately $425,000. The diversity of people make it one of the "Eclectic and Diverse" neighborhoods in San Diego, with a wide variety of restaurants and coffee shops. Walk the art district on Ray Street on the second Saturday of every month. It is the longest running art walk in San Diego's history where local artist get to show their work. Open every Thursday from 3-7 pm is the North Park Farmers Market. Here you will find over 25 independent vendors selling local grown organic vegetables and fruits, gourmet foods, hand made arts and crafts and live music for all to enjoy. A multitude of recreational activities are available in and near North Park Real Estate including golf, frisbee disc golf, tennis and swimming in Morley Field/ Balboa Park as well as racquet ball courts, a baseball field and hiking trails. Also featuring a nice size dog park where neighbors get to socialize with their dogs. North Park Real Estate is located minutes away from interstate 5, Interstate 8 and the163 freeway making very easy to get to your destination with in minutes. The North Park local school district has 7 schools, 3 of which are public schools: McKinkley Elementary School, Jefferson Elementary School and North Park Elementary School. The North Park Community Health services offers local hospitals, "Kindred Hospital" located on El Cajon Boulevard just south of University Heights, "Family Health Centers of San Diego", located on 30th St and "Eldershelp" located on 30th St. as well. North Park Real Estate offers a small city type atmosphere with a lot of heart and an abundance of wonderful activities. Buying a Home in North Park? Moving to North Park? Moving from one place to another can sometimes be challenging, especially if you can not find local resources needed, such as school information, utilities, etc. In order to help home buyers that may be considering moving to North Park, we try to give as much information as possible and are here to answer any questions that you may have about North Park, driving distances, neighborhood information, schools, restaurants, health care, etc. Of course, we are also hoping that you consider our real estate services when buying your next home. As always, you are always welcome to search all homes for sale at MaryMcTsoldme.com to find updates on all North Park real estate. If you are planning a move soon, please call or email us today! A gallery walk held the second Saturday of every month. Every Thursday at on North Park Way, between 30th Street and Granada Avenue. Saturdays in the park during Summer months. A growing group of restaurants on 30th St offer special deals on food and drink on the 30th of every month. A large music festival hosted in the Fall by the San Diego Music Foundation. To celebrate the holidays in December. An all day event featuring live music, dance, poetry and art. North Park's sister neighborhood offers this event where shops and businesses welcome visitors and the sounds of live music entertain walker (and trolley riders) as they wander through the neighborhood. North Park was named the #1 Microbrew neighborhood in America. Here are some local businesses that are pretty fantastic as well.